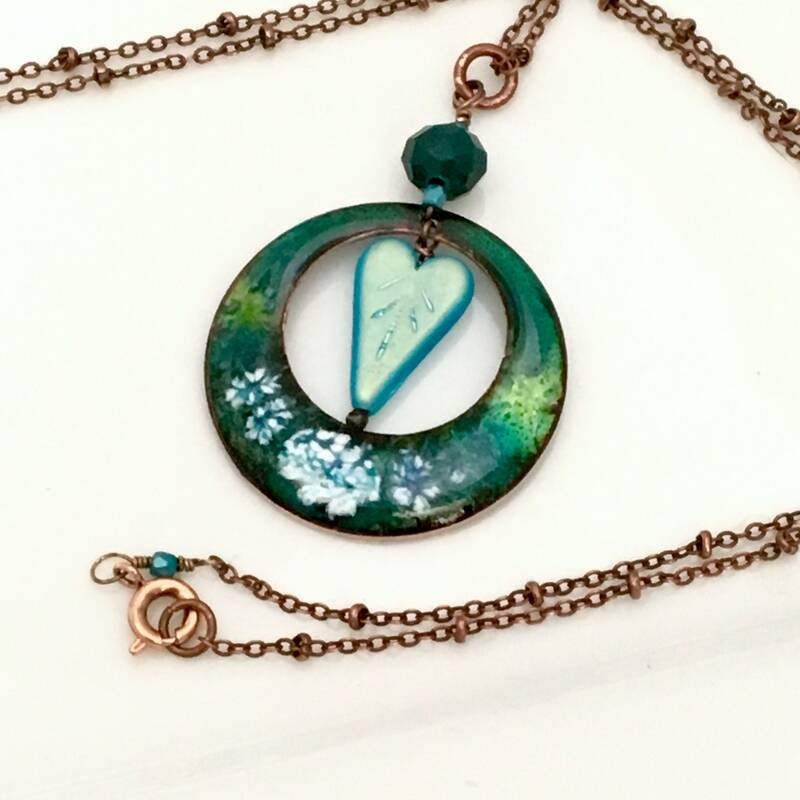 Handmade original teal blue heart inspired jewelry set. 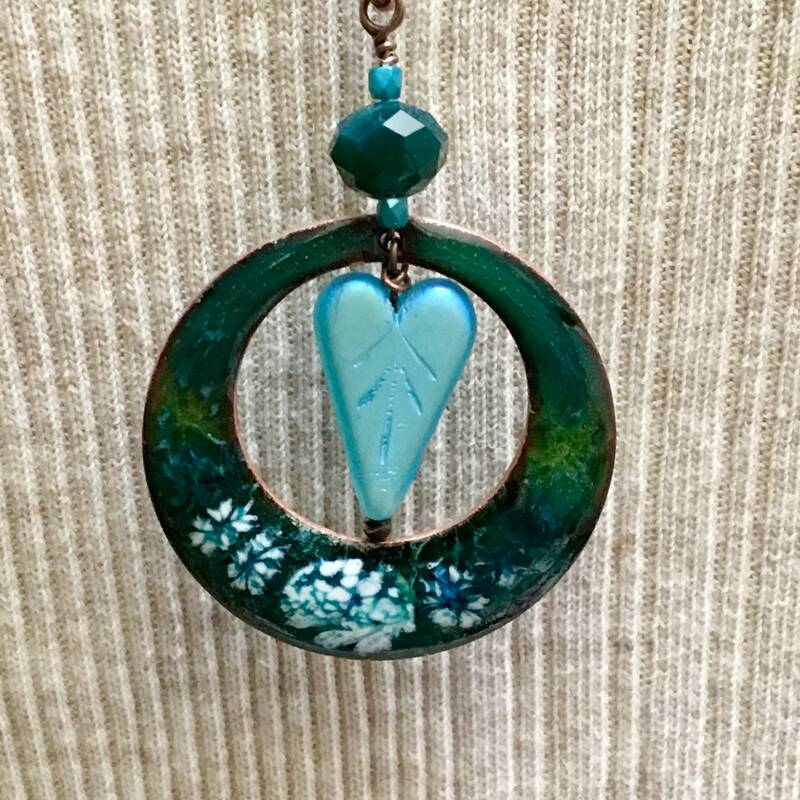 Includes hand enameled copper pendant with dangle blue glass heart and long copper chain. 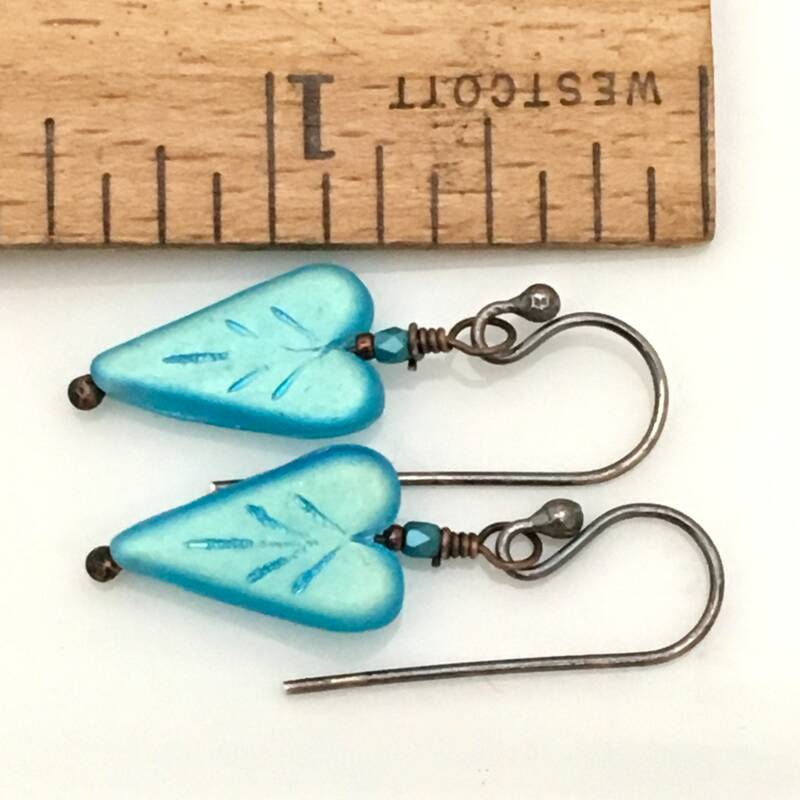 Coordinated earrings are dangle blue pressed glass hearts on sterling silver ear wires. 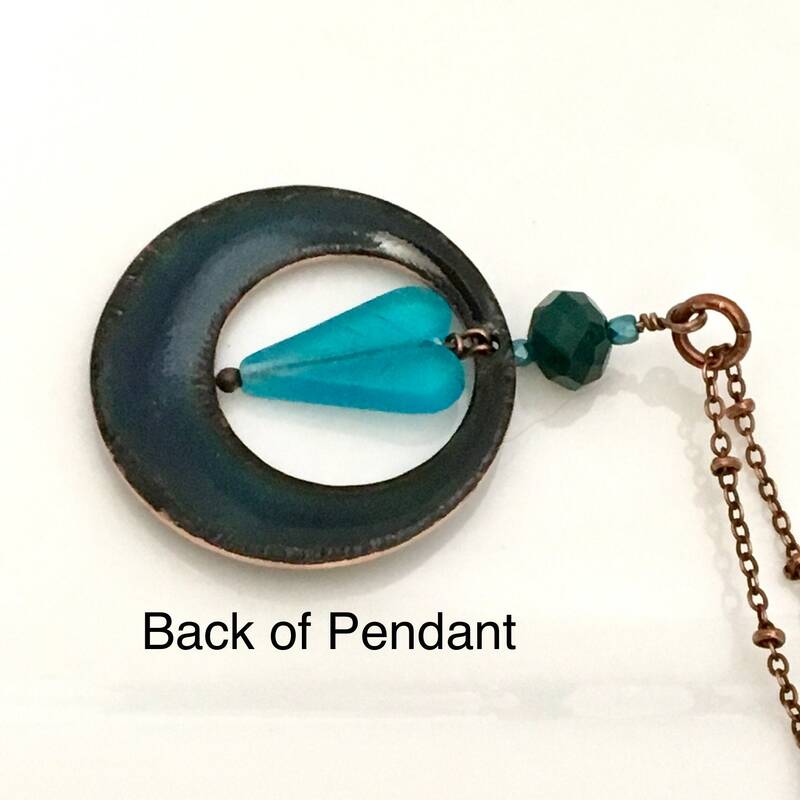 The hot glass enamels are applied to a handmade copper pendant that is 1 1/4” in diameter. 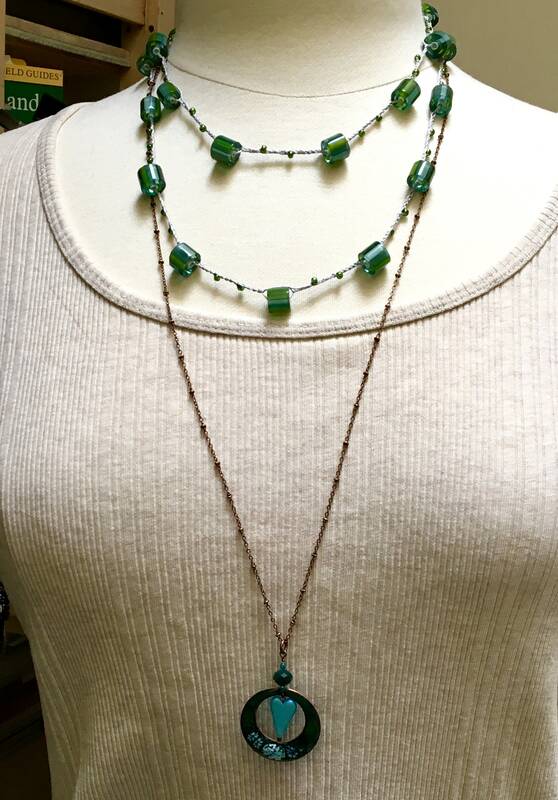 It has a beaded 3/4” long bail and hangs from a 30” copper finished brass satellite chain. 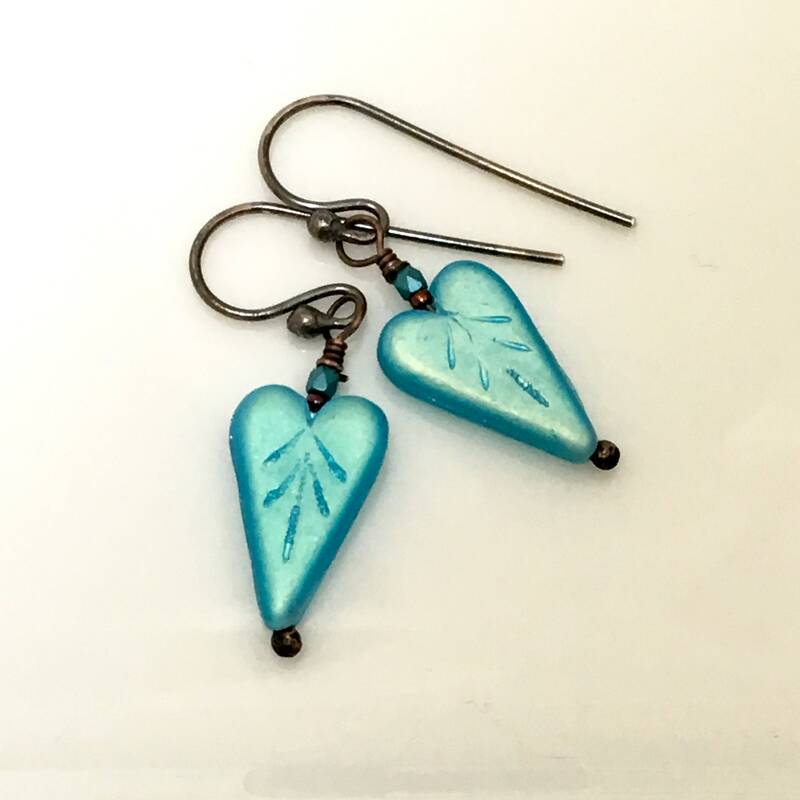 Coordinated earrings feature blue pressed glass hearts, the same as are suspended in the pendant. 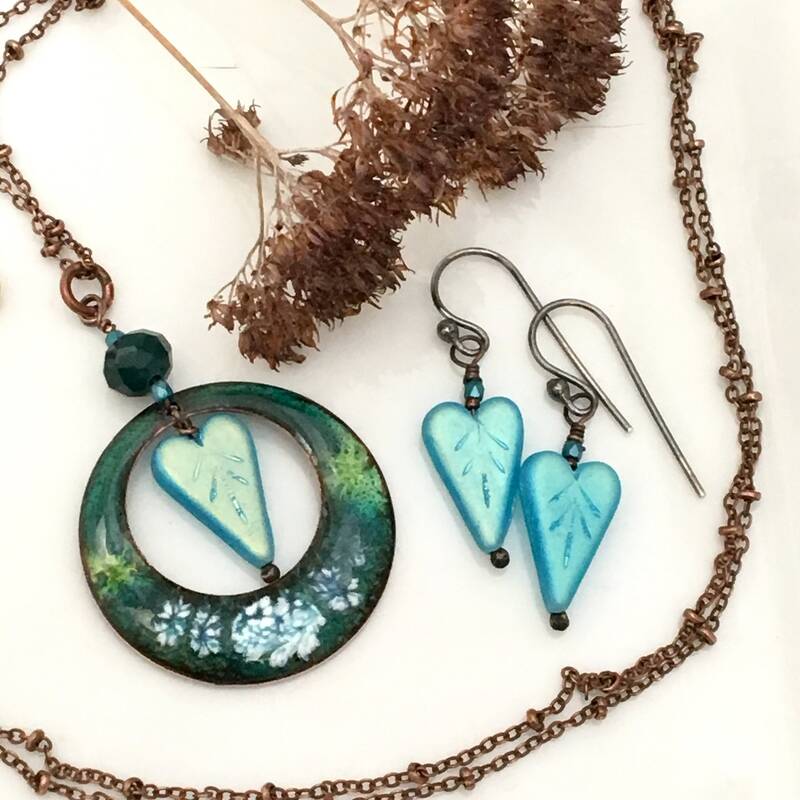 Dark oxidized sterling silver ear wires, handmade by me, bring the total earring length to 1 1/4”. 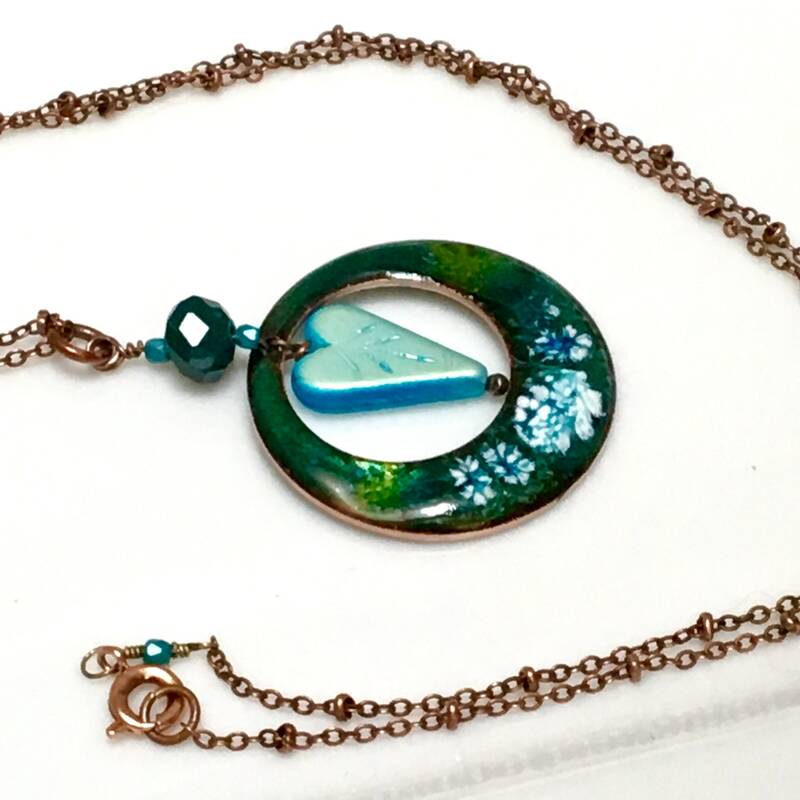 Affordable special gift for her presented in my custom signature gift box, ready to ship & ready to give. 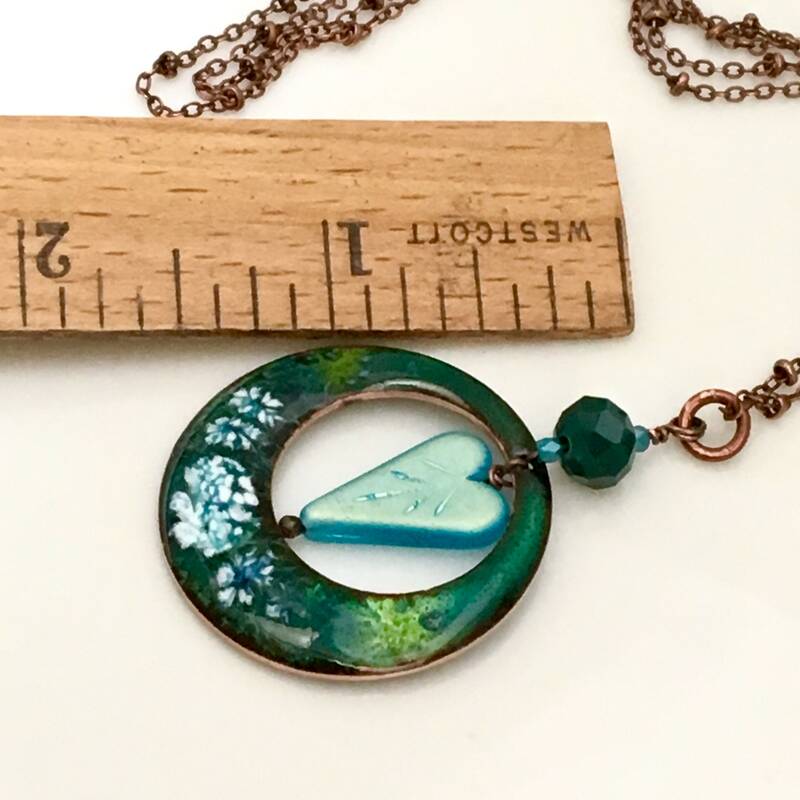 I use a macro lens for close up details, please refer to scale in photos and sizes listed in the description. 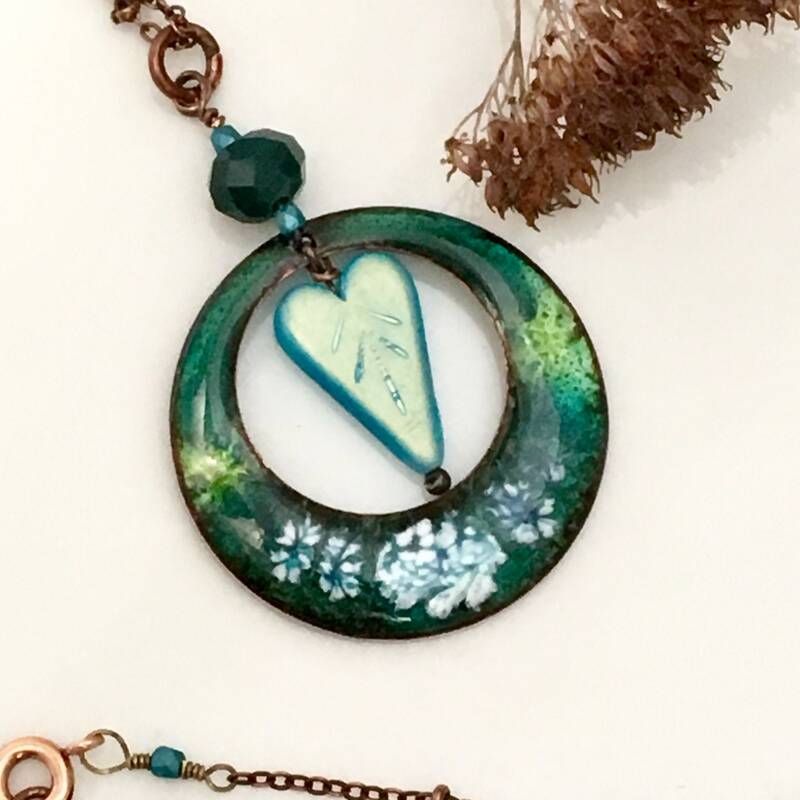 Please drop me a note if you have any questions.